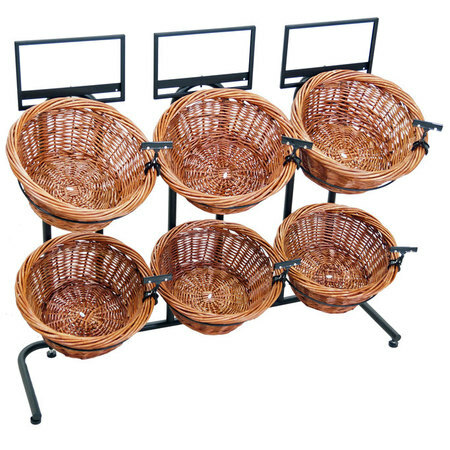 Our Six Basket Wicker Display is a great way to add a little warmth and beauty into your exhibits and suggest various types of merchandise. This retail display stand is the perfect height for children to pick their favorite candy pieces or toy trinkets with ease and offers a style that only adults can love. This delightful produce display is also a wonderful option for showing off your fruits and vegetables along with fresh baked goods, apparel accessories like socks and scarves too. With six 15-inch deep wood woven baskets, you will be able to offer several choices for your patrons to go through and make that one last impulse purchase. 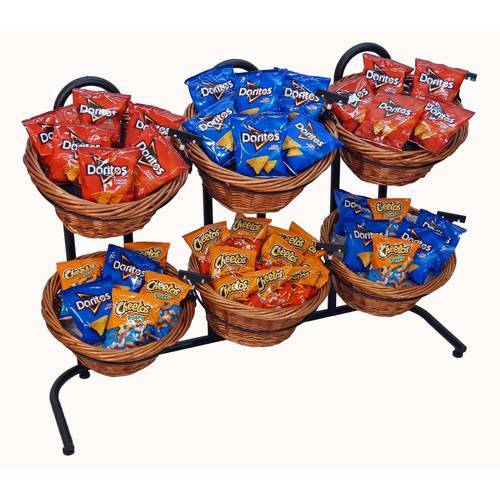 If you love this stand be sure to look at the one we offer featuring two toned baskets on it. Make sure and order your freestanding floor fixture today! Looking for a fixture that is smaller? 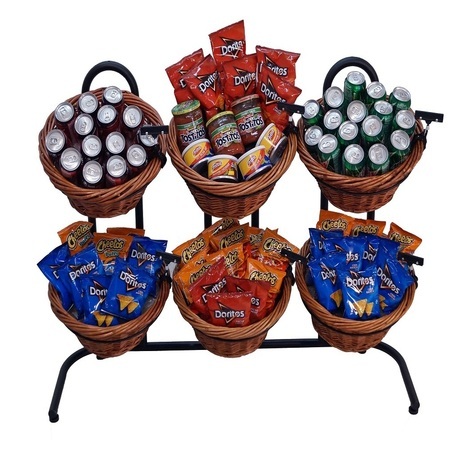 Check out our Three Basket Stand. Sign Frame Dimensions: 11" x 7"